JKPSC Notification 2018.Jammu & Kashmir Public Service Commission has released a notification for the recruitment of Medical Officer vacancies.Check the eligiblity and notification prior to apply for the positions. Applicants must be completed MBBS from recognized by MCI. Applicants minimum age limit is 18 years and maximum age limit is 40 years as on 01st January 2018. Selected candidates will get pay per Rs.9,300 – 34,800/-. With GP Rs.5,400/-. Through written exam candidates will be recruited. Applicants may apply the application through online form from 16th October 2018 to 15th November 2018. Application fees for general category is Rs.400/-. And reserve category is Rs.200/-. 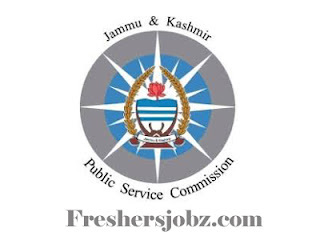 http://www.jkpsc.nic.in/Pages/Applicant/Jobs.aspx?id=1 Is the link applicants can apply application directly.